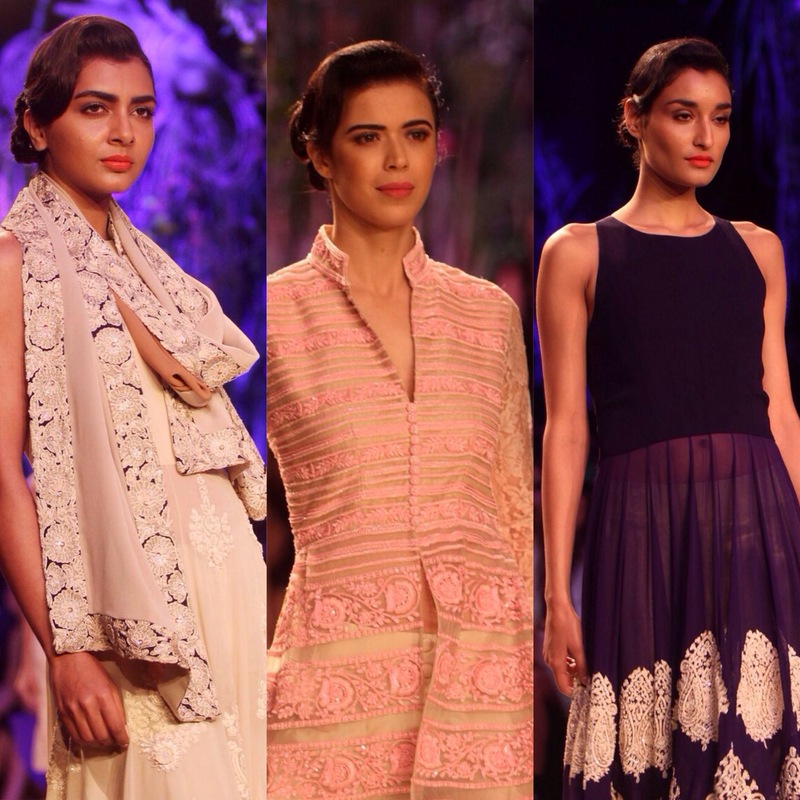 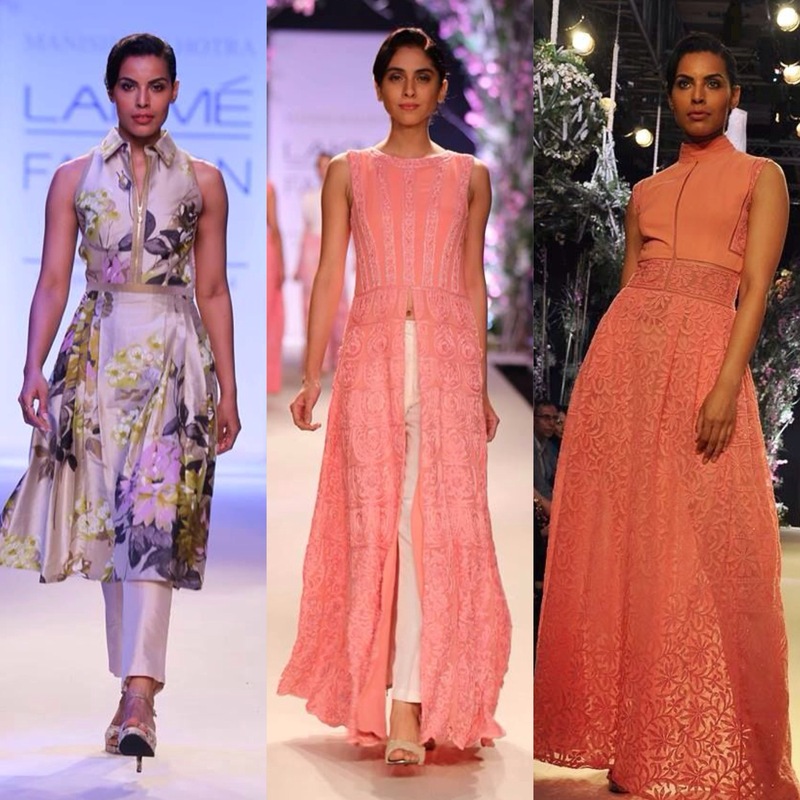 Manish Malhotra opened up Lakme India Fashion Week with his romantic collection called “A Summer Affair.” It surely is an affair between blush pinks, ivory, beige, and navy, from bold floral prints to intricate details, Manish Malhotra has definitely stirred up a romance. 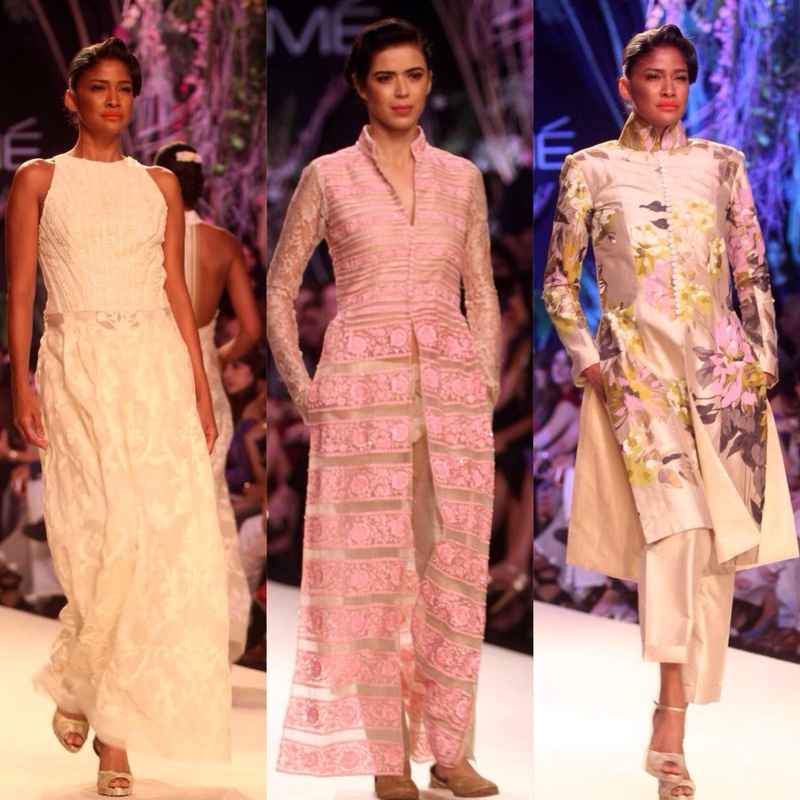 Using modern flowly sihouettes with a comfortable edge makes it a perfect collection for summer. 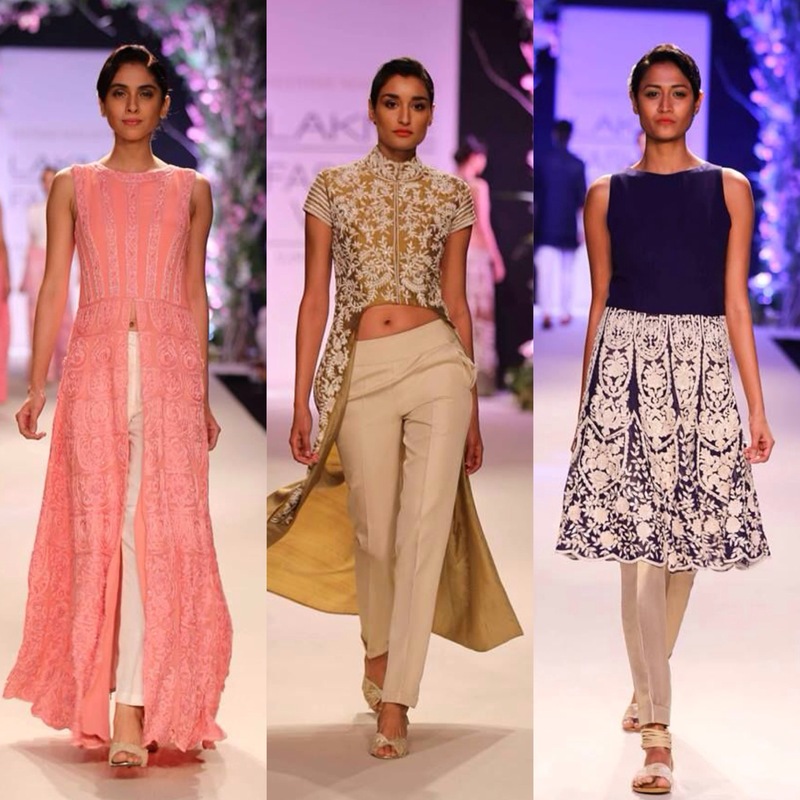 I quiet liked the small details such as visible zip saris and summer skirt lehengas with pockets paired with jackets. 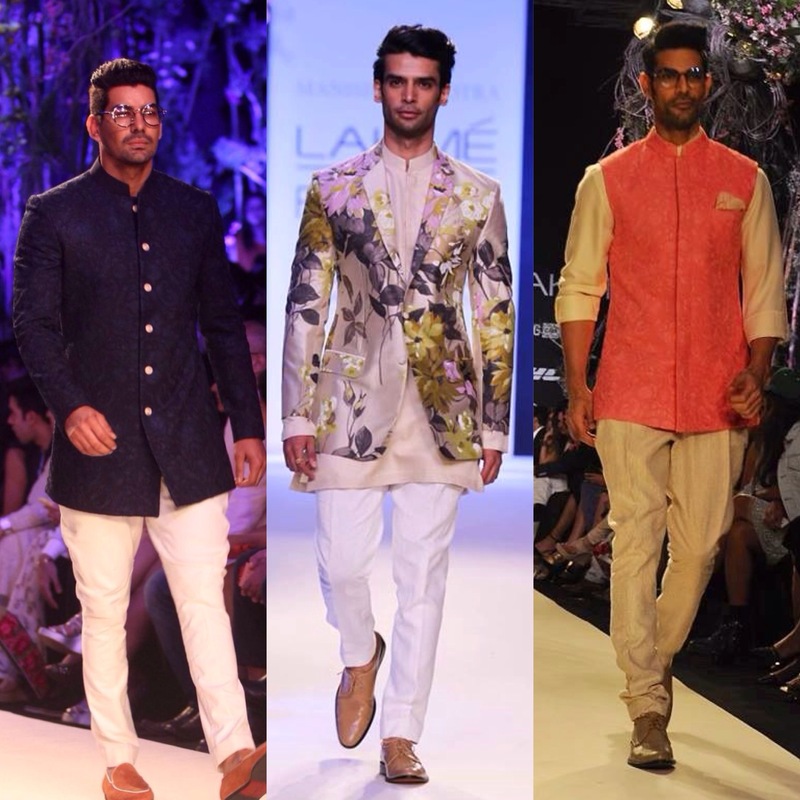 The men’s collection never fails to impress me, loved the way he paired the bold floral print on men’s jackets. 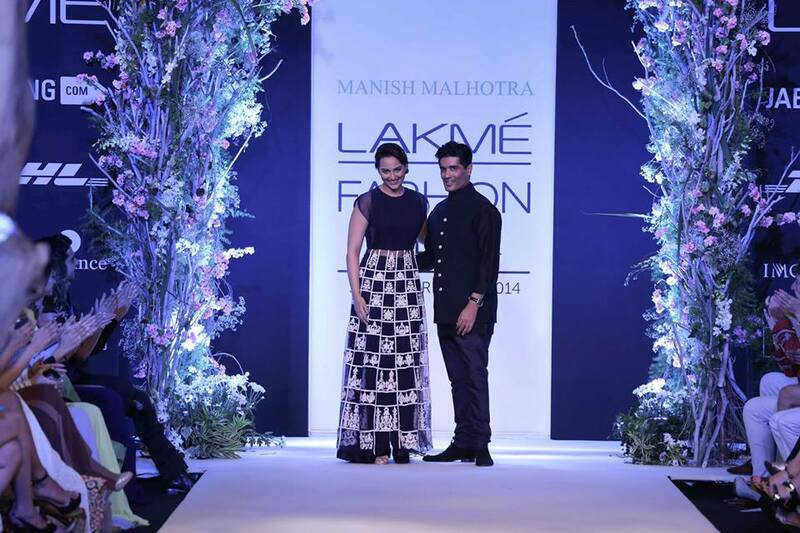 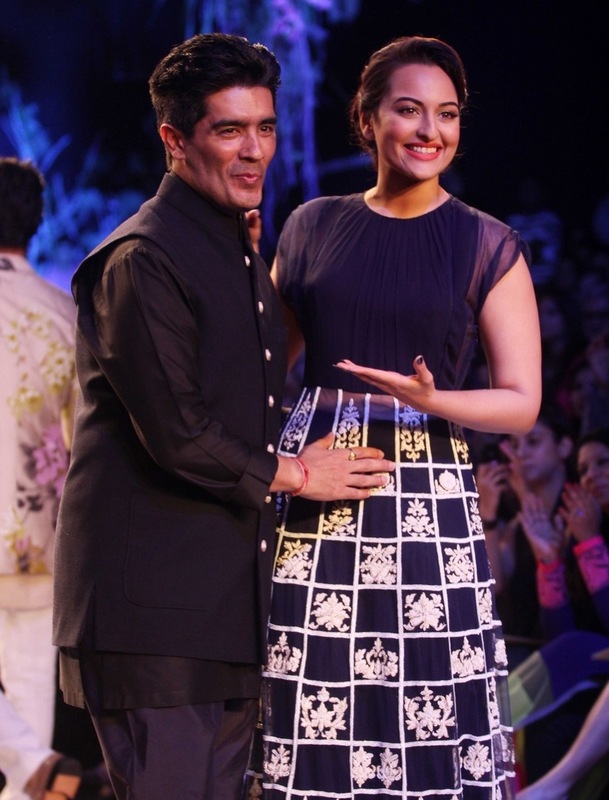 Manish Malhotra, India’s greatest designer can dress anyone at any occasion. 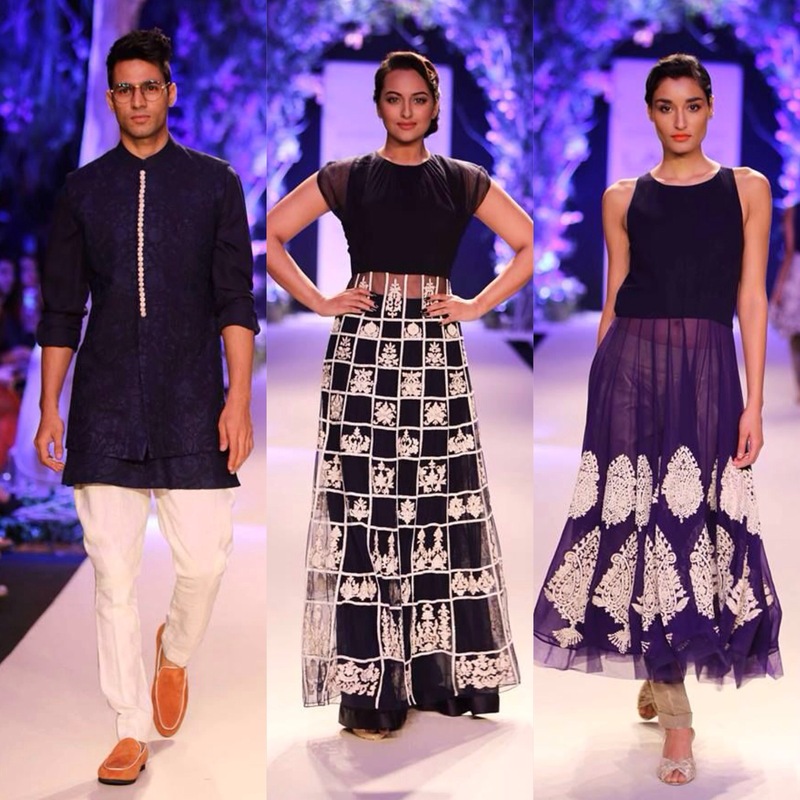 His collection will definitely be one to remember this summer season! 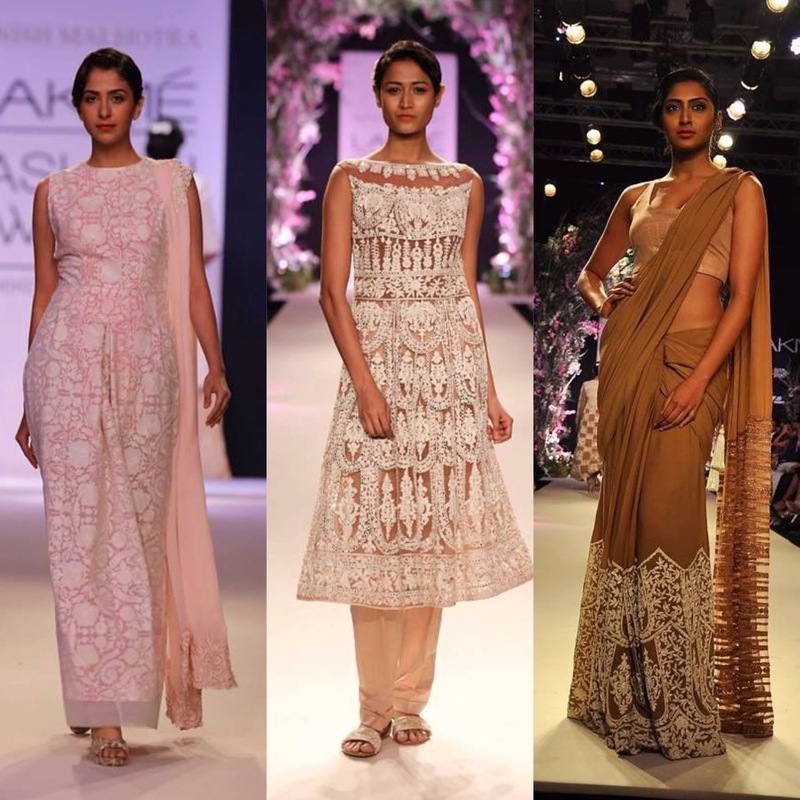 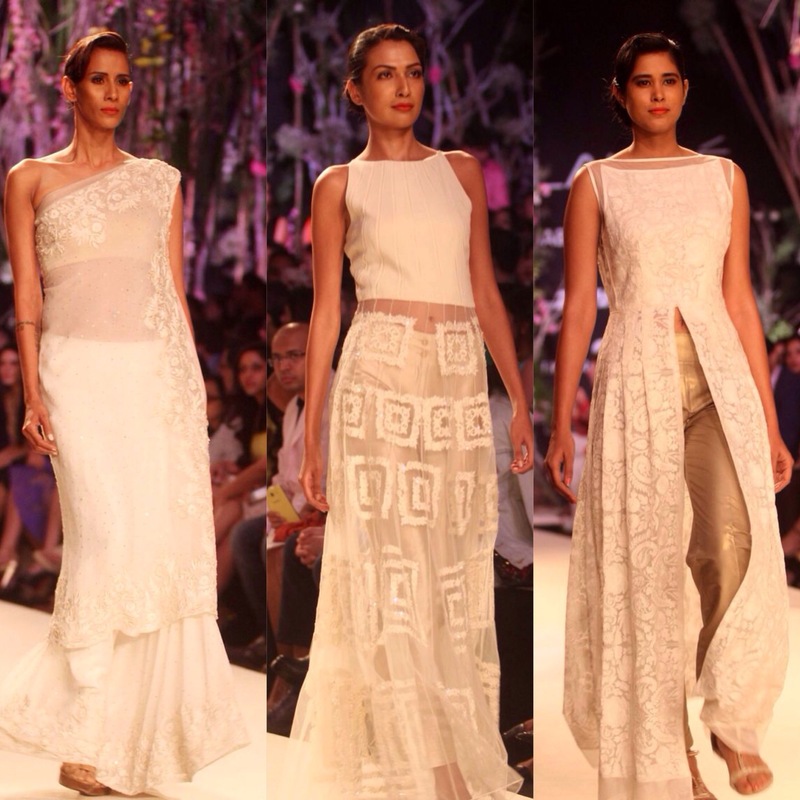 A very and soft written review for one of my favorite Indian designers Manish Malhotra, which does justice to his romantic collection “A Summer Affair”.